Ask any DOW (Division of Wildlife) officer and they will tell you that if you want a chance at a 350+ BC bull elk, put in for area 2 or 201. Increased demand for these areas is also shown by the amount of preference points needed to draw a license. At least 19-20 points were needed for the 2010 hunt (depending on unit) and it seems to raise a point every year or every other year. 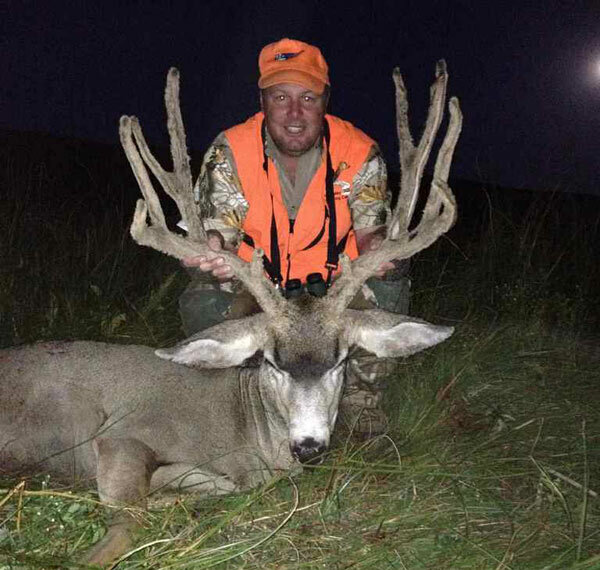 Although the hunter without enough points can still hunt with landowner tags. These are available on a very limited basis. Please call or write to inquire. Raftopoulos Ranches is a working cattle and sheep ranch situated in the heart of northwest Colorado. We own or control several thousand acres in areas 2 and 201. We provide first class guide and outfitting service with accommodations that are unsurpassed by anyone in the area. 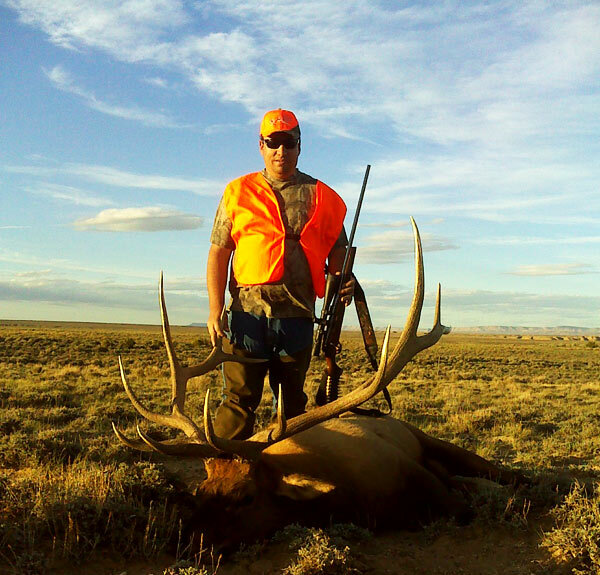 Our guides have lived in northwest Colorado most of their lives and hunted and guided the areas for many years. They know where the big ones run, and how to get them. Its not uncommon to see several 300+ BC bulls each day. The hunt occurs during the rut, which adds to an unforgettable experience. Success rate over the last 15 years has been 100% with most bulls from 300-350 BC rough score. 2006 average was 354 BC. We strive for a 1 guide per hunter ratio, but at times early in the season we may be 1 guide per 2 hunters. We have special rates available for friends and family members wishing to accompany a hunter. Please call for availability. Racks are rough scored at ranch by guides and hunters to determine rough score without deduction. LANDOWNER TAGS AVAILABLE AT HIGHER COSTS AS DETERMINED BY AVAILABILITY.